China's wave of bond defaults in 2018 seems to have continued into 2019, with Kangde Xin Composite Material Group Co failing to make principal and interest payments on its corporate bond due January 15. According to the company's announcement at the Shanghai Clearing House on January 14, due to a liquidity crunch, it is likely to default on the payments of two corporate bonds due January 15 and January 21, respectively, worth a combined 1.5 billion yuan ($220.98 million). Established in 2001 and listed in 2010, Kangde Xin is known for its research and development as well as the manufacture of pre-coated materials and other new materials. According to its annual financial forecasts, the company's net profit was expected to grow by 10 to 30 percent to reach 2.7 to 3.2 billion yuan. It is noteworthy that as of the end of the third quarter of 2018, Kangde Xin had 15 billion yuan in cash and equivalents, with 16 billion yuan in liabilities. Thus, it is really rather puzzling to see how a company with 15 billion yuan on its books then fails to pay back 1.5 billion yuan worth of debt. It is reported that too, that many large outstanding receivables are one of the reasons behind the default. According to Kangde Xin's third quarterly report in 2018, its accounts receivable and bills receivable totaled 7.26 billion yuan, while accounts payable and bills payable amounted to 3.51 billion yuan. The high receivables and low payables mean that the company needs to hold a large amount of free cash flow in order to maintain operations. This is why the company had such high cash levels on its books. Yet, the problem appears to be that the liquidity mainly came from borrowings. By the end of September 2018, the company's interest-bearing liabilities totaled 11.01 billion yuan. It is surprising to see a company, with annual profit of more than 2 billion yuan, operate with such leverage. Kangde Xin's case may underscore the impact of China's financial liberalization on private companies. In the past, funding difficulties were a problem faced by many private companies. Most of China's private companies are small and medium-sized entities with high risks, and banks have their concerns about extending credit to such entities, due to the lack of ability to hedge risks of private companies. To solve this problem, it is essential to allow banks to flexibly price the loans to such borrowers. At present, the rate of corporate loans is only allowed to fluctuate by 50 percent from the base level. Nevertheless, with the gradual liberalization of China's financial sector, private companies have seen their funding channels broadened. For instance, they can obtain the funds through the issuance of various debts, stock pledges and even peer-to-peer borrowing. But at the same time, private companies' operations and management capabilities also face a strong test. In the event of poor management, the benefit of financial liberalization will become a significant risk. For example, a stock market crash may cause a crisis to many companies with significant stock pledges, and may mean margin calls. China's economic slowdown has also contributed to many corporate defaults of private companies. While enjoying the benefits of financial liberalization, private companies should also improve their corporate governance capabilities, which appears to be a major shortcoming of many SMEs in China. In the past, it was difficult for private companies to get financing, therefore, once they obtain funds, the money would be used efficiently. Now, with more and more financial instruments, financing has become much easier. But if the corporate management and operation levels cannot keep up with the developments and changes, coupled with a bad market environment, problems will be inevitable. In this sense, financial liberalization is an opportunity, but it is also a pitfall and many companies don't have the ability or experience to deal with such pitfalls. Therefore, when facing the situation of financial liberalization, domestic private companies need to have a prudent sense of asset-liability management and have detailed cash flow management, otherwise, they may risk seeing years of efforts go up in smoke once they encounter funding issues. 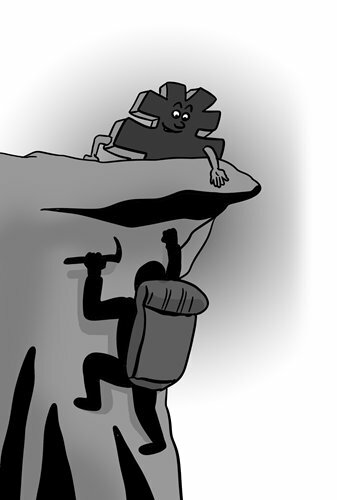 In short, the biggest challenge for China's financial liberalization doesn't come from the competition of foreign institutions, but actually from the domestic companies, especially private companies, which are unable to adapt themselves to the new environment. If the market space is not big enough to effectively digest such financing capital and financial liberalization, it may trigger similar defaults in the future.